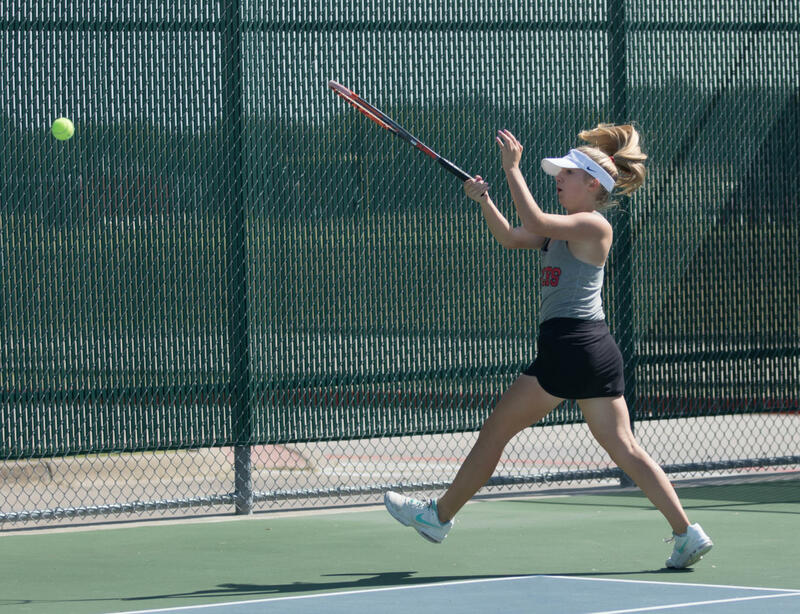 After five years of hard work and dedication, junior Audrey Livingston received the position of co-captain for the tennis team, where she acts to improve the team’s mindset and work on the court. “I have learned that whoever you are facing on the court, playing your game and no one else’s is the key to doing your best,” Audrey said. Livingston’s energy and team spirit has fueled the team to train and work for the season to better improve their skills. 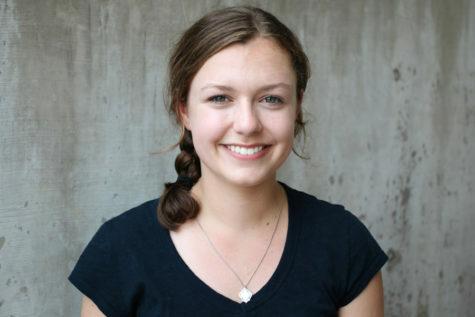 The effort Audrey puts forth has aided in the team’s experience and improvement. The significant people in her life are one reason for Audrey’s skill and positive attitude towards the sport. “Coach Jordan has had a great influence in my life because she always encourages me to play my best and maintain strong mental game,” Audrey said. Audrey’s skill and dedication to her team and sport has proved she has what it takes to be a leader to her fellow teammates. Audrey has always shown signs of hard work, dedication, and leadership. This has benefited the team in substantial ways. When she is not playing on the court, Audrey is keeping up the team spirit by cheering on her teammates. “She makes sure that her presence is known to her teammates that are on the court and that makes a big difference in the results and the confidence that those players have,” Jordan said. Audrey’s relationship with her sister, Chloe, plays a significant part in her enjoyment of the sport. Audrey hopes to continue making improvements as captain of the team in her senior year. 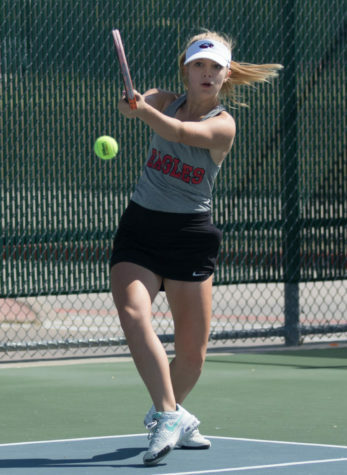 “I want the Argyle Tennis team to improve and reach our full potential next year, like we did this year, because we have so many strong players,” Audrey said.